On November 14th, 2015, Ecobank, the leading independent pan-African banking with a presence in 36 African countries, celebrated its 27 years of operations through social initiatives aimed at improving the livelihoods of individuals and institutions operating across the African continent. With an emphasis on building sustainable growth to the African continent, this year’s focus was to support and empower the African Child. 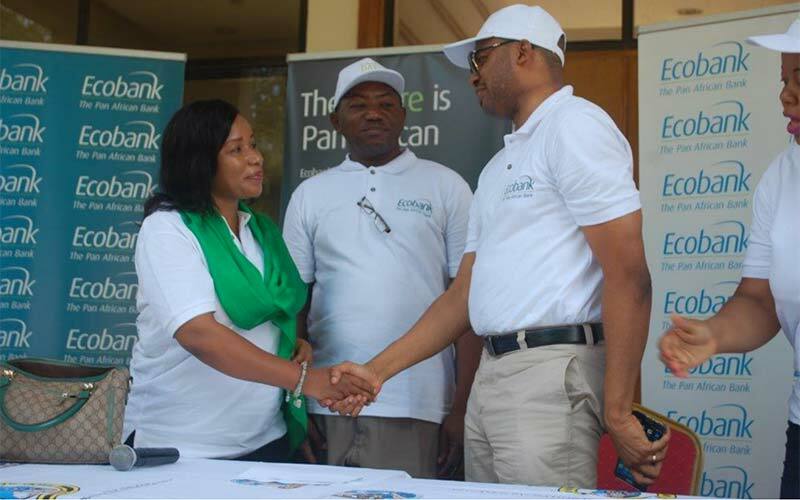 Ecobank Tanzania commemorated the Ecobank day at Ligula Regional Referral Hospital in Mtwara where it will be renovating the children’s ward. Ecobank’s initiative to renovate the Children’s ward will improve the sanitation conditions of Mtwara municipal where currently many children who go for treatment leave having acquired a different disease due to the poor sanitation conditions of the hospital. “Ecobank strongly believes in the saying, Health is Wealth especially for the children who will grow to build and progress our booming continent of Africa.” Osei-Safo added. Incorporated in Lomé, Togo, Ecobank Transnational Incorporated (ETI) is the parent company of the leading independent pan-African banking group, Ecobank. Ecobank is a full service bank providing wholesale, retail, investment and transaction banking services and products to governments, financial institutions, multinationals international organizations, medium, small and micro businesses and individuals. It currently has a presence in 36 African countries, namely: Angola, Benin, Burkina Faso, Burundi Cameroon, Cape Verde, Central African Republic, Chad, Congo (Brazzaville), Congo (Democratic Republic), Cote d’Ivoire, Equatorial Guinea, Gabon, Gambia, Ghana, Guinea, Guinea-Bissau, Kenya, Liberia, Malawi, Mali, Niger, Nigeria, Rwanda, Sao Tome and Principe, Senegal, Sierra Leone, South Africa, South Sudan, Tanzania, Togo, Uganda, Zambia, Zimbabwe. The Group is also represented in France through its affiliate EBI SA in Paris. ETI also has representative offices in Dubai-United Arab Emirates, London-UK and Beijing-China. ETI is listed on the stock exchanges in Lagos, Accra, and the West African Economic and Monetary Union (UEMOA) – the BRVM. More than 600,000 local and international institutional and individual shareholders own the Group. The group employs nearly 19,000 people in 38 different countries in over 1,200 branches and offices.